Abstract: Home Economics is one of many courses taught at almost every university having Home Economics Education/HEE (Indonesian: PKK) Study Program, particularly at the Institute of Education for Teaching Professionals/IETP (Indonesia: LPTK). This is the basic knowledge of HEE/PKK that must be learned by all students of HEE; whether they concentrate on Food & Beverage, Clothing Management, or Make up science Science. Unfortunately, at present, Home Economics is considered as just an obligation. Students are obliged to take the course, and be done with it. As in most other courses, in learning Home Economics, students are positioned as listeners, absorbing lots of information, in a dull learning condition. This doesn’t encourage students to solve problems. Therefore, in learning Home Economics, a different learning model is needed as an alternative; a model that provides opportunities for the potential development of the students and the lecturer. One model being suggested here is Problem-Based Learning. This model has general characteristics: providing students with authentic and meaningful problems, which will enable students to conduct research and inquiry (Ibrahim and Nur, 2005; Sweller, 1988; Hmelo-Silver & Barrows, 2006 ). Besides this problem-based learning model, the learning of Home Economics can also be based on characters. Character education is a vital part of national character building. In addition to that, character education is also expected to become the main foundation in reaching Indonesia Emas 2025 (Golden Indonesia 2025). Character Education becomes the focus of education in all levels of education, including university level. The objectives of this paper are: (1) to describe the learning model of Home Economics that has been implemented so far at the Department of PKK FT Unesa; (2) to identify the weakness and the obstacles of it; (3) to describe an idea of a possible implementation of problem-based and character-based learning model for Home Economics subject. Home Economics is one of the subjects being taught at almost all universities having Department of Home Economics Education, especially at the Institute of Education for Teaching Professionals/IETP. Home Economics has become the main source of Home Economics Education, which must be thoroughly studied by students of related departments, either those who concetrate on the study of Foof & Beverage, Clothing management, or Makeup Sciences. The teaching and learning of Home Economics becomes so crucial in this current globalization and technological era, becuase its main purpose is to provide strong bases for students about the importance of family unity and welfare. The philosophical bases about the significance of Home Economics subjects are: (1) democratic life of a family helps establish a democratic nation; (2) democratic life of a family emphasizes the importance of mutual cooperation among family members to build a satisfactory life; (3) satisfaction in life becomes a very important aspect in the development of an individual as either a member of a family or a community; (4) harmonious life among family members is very important to establish family happiness and welfare; (5) every family has different beliefs about social and economic values, becuase such beliefs depend very much on the intended purposes and mission of the family. Thus, the quality of family life depends relatively on the understanding about the values of life of the community where the family is living; and the family can do and perform the best with its own human resources to help develop the nation (Rifai, 1983; Nurlaela, 2010). However, Home Economics -which has been formally taught since play group level up to tertiary level of education, either integratedly with other subjects or on its own- is likely to have lost its essence. Home Economics being taught at tertiary education, particularly at the Department of Home Economics Education at universities, has been a mere compulsory subject, which must be programed by the students. As happens to all subjects, the teaching and learning of Home Economics does not facilitate students to perform collaborative learning with their peers to develop their ‘higher order thinking’ skill. The importance of Home Economics, as a subject, is closely related to character building. Budirahayu (2001) states that formal education, which has so far been given at schools, is not oriented to character building, but rather to the heaps of knowledge that burden the students without reference to reality or real life. Minister of Education (in Daulay, 2002) states that education has paid little attention to the character building of the students. In line with the previous opinion, Madjid (in Parji, 2002) states that Indonesia is in danger because people are not used to applying and performing ethics in their daily life. The impact of attention-lacking to such morality is that some community members tend to become ill-tempered, malicious, dishonest, selfish, anarchic, provocative, job-madness, vandalis, vulgar, and behave negatively in the community (Sukaryono, 2004). To find solution for this phenomenon of serious moral cricis in Indonesian social life, the establishment of nation character and ethics education is very important. It must be developed as a medium to build the nation and its character (nation and character building). One way to develop nation character is through the teaching and learning of Home Economics. The teaching and learning of Home Economics has been organized in such a way to focus on the students (student-centered) through the development of group discussions and assignments. However, lecturers-students’ activities are still monotonous and unchallenging, which, in turn, makes the teaching and learning of Home Economics fruitless and lose its intended targets. The skills that are expected as results of the teaching and learning of Home Economics are: students will have the understanding of Home Economics, they will be skillful in organizing individual and family resources, they will have professional attitude necessary if they become future manager of a family, and they will have knowledge and skills for relevant professions in Home Economics. In addition to that, Home Economics is also expected to help develop students as potential human resources, who can establish ethics and moral as the bases of their daily life. Those goals cannot be reached with the current model of teaching and learning, which contains some weaknesses. The students’ presentations and discussions have become monotonous activities with no contributions in the development of students’ creativities. Teachers can motivate students to get involved maximally in students’ presentations and discussions, but the quality of students’ assignments, papers, and proposals are still quite low. Consequently, the students’ achievements are relatively poor and far from expectation. Therefore, there must be substantial attempts to formulate and implement other alternative models of teaching and learning, which may facilitate students and teachers (lecturers) to develop themselves. One recommended model is the application of problem-based teaching and learning. This model is selected and recommended because it is considered suitable to the characteristics of the materials of Home Economics. In addition to that, the practical activities of teaching Home Economics are also suitable to the principles of the problem-based model. This will ease the designing of the teaching and learning activities of the subject. Problem-based learning model has general characterictics, among others is providing students with authentic and meaningful problems, which may help and ease them in developing research and inquiry skill (Ibrahim dan Nur, 2005; Sweller, 1988; Hmelo-Silver & Barrows, 2006 ). In addition to the general characteristics, this model also maintains its specific characteristics; such as the presentation of questions or problems for students to solve, the focus on the interrelatedness of various relevant knowledge, the authentic research, which produce learning products that can trigger students collaborations with their peers. The authentic problems are those that can be found in every day life, which solutions of them can be directly and practically applied. Authentic problems will attract students’ interests because such problems are related directly to their practical lives. This means, by promoting and integrating the authentic problems in Home Economics subjects, the teaching and learning activities will be interesting and fruitful. Besides problem-based learning model, the teaching and learning of Home Economics is also designed to be character-based. Character building has been made as one of the purposes of national education program. Article I of the 2003 Regulation of the National Education Systems (Indonesian: UU Sisdiknas tahun 2003) states that one of the main purposes of national education program is to develop and maintain the potentials of students: their intellectuals, personality, and morals. Such an important message of the 2003 Regulation sparks an idea that education is designed and dedicated to create Indonesian people who are not only intellectually smart, but also have good characters. In shorts: a future generation with moral and religious values. Home Economics, in Webster’s Encyclopedia, is defined as “A science and art dealing with home making and relation of home to community, theory and practice concerning to the selection and preparation of food and clothing, condition of living, the use of income, the care and training children etc., also the study of teaching at Home Economics Department concerned with this.” Soedarmo and Sediaoetama (1987) point out that Home Economics is a science focussing on the study of family life and factors affecting it, and finding out the ways to improve the quality of family life for the prosperity of the family. This opinion is in line with the definition put forward by the American Home Economics Associations (AHEA) in which home economics is defined as the science and art which have close relation to the improvement of the quality of a family, which means that (1) it focuses on family, and (2) it matches and combines scientific and human approaches to help individuals face any possible changes and then utilize the existing technology to improve their lives (Parker, 1980). Home Economics, as a part of science, is actually an integration of various sciences. Parker (1980) states that Home Economics cannot stand alone as a science, but it uses research findings from various different sciences, such as physics, chemistry, bacteriology, biology, anthropology, psychology, sociology, economics, medical science, nutrient, and education. In addition, Home Economics is also related to religion, ethics, and aesthetics. Thus, it can be said that Home Economics is an integrated subject. This subject (or science) can develop widely because of the view that all knowledges or sciences should be applied to get better and prosperous life (Winarni dan Luthfiyah Nurlaela, 1997; Nurlaela, 2010; Nurlaela, 2011). Home Economics also provides some basic knowledge to obtain and develop a family skill or profession, which may be employed as a medium to generate income. This is in line with the definition of Home Economics provided by the International Federation for Home Economics (IFHE) that “Home economics is the profession and field of study that deals with the economics and management of the home and community”. As part science and part skill, Home Economics supports the practice of family life to reach the goal of the family itself, that is, family welfare. It is believed that family welfare becomes the basis of the establishment of a prosperous community. A peaceful world also depends on the welfare of any individual member of the community, who –first of all- lives in the family. It can be said, then, that family is the foundation of a nation/country. A family unit has a great potential and contribution to the development of a nation/country. This is because home and family have great impacts on the development of ethics and moral of the children. So, family is far more contributive to the development of a nation/country than any other institution. Home Economics, in any form of teaching and learning activity, is given to the children since their childhood to their adulthood, either in formal, informal, or non-formal setting. In formal education, Home Economics is taught since kindergarten or play group level. The teaching and learning of Home Economics is generally intended to build a good habit of life in the family and its surroundings. It is taught through games and relevant functional trainings, such as greetings, saying thank you, washing hands, and asking for permission to do something. In this context, education is focused on the development of ethics and the widenning of life experience, as well as developing life skills. This level of education becomes a bridge between education in the family and education at elementary school. At elementary education level, Home Economics helps children acquire basic knowledge and habit of how to live in the family and the community. This can be obtained through (1) development of good habits that have been taught at kindergarten or play group schools, (2) development of habit in cooperation among the peers on the basis of love and responsibility, and (3) development of behavior and understanding about the importance of beauty and cleanliness. The teaching and learning of Home Economics at elementary school is conducted integratedly with other existing subjects at school. At this level of education, the teaching and learning of Home Economics gives students opportunity to develop their personality, to adapt with surrounding environment, to be physically and mentally healthy, and to appreciate and practice the best values of life. Home Economics teaches students to become family members, who can easily adapt with changing condition in the family and its surroundings. Through teaching and learning activities, students are expected to develop their sensitivity towards cooperation, and their relevant skills to face reality of every day life. Home Economics at junior and senior high schools (Indonesian: SMP/SMA) functions as a medium to develop understanding about life and family life. Home Economics, at this level of education, facilitates students to develop themselves as useful members of the family and society. This subject can be presented as an individual subject, or be made as a part of a subject, or be integrated with other subjects; such as Religion, Nationality, Science, Social Science, and Language. Home Economics can also be presented in the forms of non-curricular activities, such as UKS, School Canteen; and other extra-curricular activities, such as Boy-Scouting. Home Economics is intended for both female and male students, either individually or in group. Home Enomics may be presented by integrating and matching it with current real condition at school; for instance, through the teaching of being responsible for classroom and schoolyard cleanliness. Students organizing certain school activities is also a way of teaching Home Economics. Home Economics at Vocational School (Indonesian: SMK) is intented to help students develop their understanding and skills in family life that may be useful after they finish school. It is called life-skills. Home Economics, in this level of education, functions to facilitate students develop their capacity to work, maintain themselves in the work (job) that they have chosen, or to get better job. Meanwhile, Home Economics at the tertiary level of education is presented more as the extention or elaboration of the previous materials presented at junior or senior high schools. Most activities in this subject are focussed on observation, research and indepth study of all aspects of family life. They are also integrated in a professional study as those performed at the Faculty of Professional Teachers, the Faculty of Medical Science, the Faculty of Agriculture, Faculty of Language and Arts. Based on the previous explanantion, Home Economics has actually taught character in the implementation of its teaching and learning activities, right from the play group up to the tertiary levels of education. Characters that are developed through this subject, among others, are honesty, responsibility, self-confidence, competence of developing cooperation, communicative competence, and scientific attitude. However, the development of those characters is not more than as a nurturant effect, that is, it has not yet been designed as the instructional effect. In character education, there is a substantial need to develop cores of ethical values, such as honesty, justice, care, responsibility, and self-esteem; together with other supporting values, such as seriousness, high work-ethics/ethos, and persistence. Therefore, schools should be responsible and be committed to develop students’ characters based on those values. They should also define those characters operationally in the forms of practical daily attitude and behaviour at schools, exemplify the values, discuss them, use them as the bases for developing human relations, and appreciate as well as apply the values in the community (Bashori, 2010). At university level, Home Economics belongs to the group of ‘skill’ subjects (Indonesia. : MKK). This subject is due to be programed at the even semester (first semester) at all study programs at the Department of Home Economics covering the study programs of Food Science, Clothing Management, and Makeup Science. Home Economics is taught at the first semester with the intention that new students (freshmen) can get the gist, coverage, and scientific methodology of their future study earlier. Another objective of the early presentation of this subject is that students would understand more comprehensively that Home Economics is a science, so that it has to be developed scientifically. The number of freshmen who should program this subject at the first semester, for each study program, is usually about 50 students. The number can be bigger when students who failed the subject in previous semester and trasfering students (from D3 to S1) also join/take this subject again. Thus, to overcome problem of teaching a big class, students are split into two groups or classes (class A and B). The targeted competence in Home Economics, based on the current syllabus, are the mastery of the basics of Home Economics as the main source of Home Economics Education, the concept family and family life, and the introduction of research methods in the field of Home Economics Education. This subject is described to consist of: 1) Home Economics and the function of home economics; and 2) family and family life. Home Economics is further described as covering basic terminologies of Home Economics as a science, field or coverage of study, and the usefulness of Home Economics. The description of family and family life consists of: definition, the form and function of family; family welfare and family policy to achieve welfare; family unity, recourses and activities. Based on the previous competence and description, the materials of Home Economics may be described as including: 1) basic terminologies of Home Economics; 2) background of Home Economics Department in various education institutions; 3) definition, form, and function of family; 4) definition of welfare and family welfare, and the factors affecting family welfare; 5) kinds and intencity of family needs; 6) definition, kinds and the development of family resources; 7) activities in family life; 8) family life in relation to nation life; 9) steps of conducting research and methods of collecting data of family problems; 10) compilation of research proposal; and 11) seminar of research proposal. The lecturing activities consist of: 1) materials presentation and discussion; 2) compilation of simple research proposal; 3) and seminar of the research proposal. The evaluation for this subject covers: 1) class participation; 2) assignment; 3) mid-semester test; and 4) final semester test. At the stage of materials presentation and discussion, students are split into nine groups, following the number of teaching materials. Each group gets one material (topic). The assignment of each of the group is writing a paper on the basis of the relevant material, prepare the presentation in the form of power point, present and discuss the material (topic) in the classroom. The quality of the paper and the power point is assessed as the score of assignment, and the students’ activities in the class discussion and presentation is assessed as the score of participation. In the activities of writing a research proposal, students are guided and supervised to formulate research questions in the field of Home Economics, particularly those related with the ten (10) family activities such as: inter- and intra- family relationship, looking after children, food and nutrient, clothing, housing, health, finance, home management, social security, and health planning. The main purpose of compiling and writing this simple research proposal is to uncover the students’ views about the authentic problems in the field of Home Economics. Furthermore, the seminar of the proposal is presented during the two last sessions in the semester. The main intention of this seminar presentation is to give students the opportunity to share and then learn how to solve problems through scientific study or research. The resolutions of problems raised in the proposal should be matched with the role and function of Home Economics as a subject in tertiary education, that is, to observe, to study in-depth, and to develop the understanding of all aspects of family life. This seminar is assessed as the component of the score of participation. Based on the implementation of the teaching and learning of Home Economics in the Home Economics Department, the Faculty of Engineering, the State University of Surabaya, it is found that the teaching and learning of the subject has been conducted using student-centered model. The lecturers do not become the only resources of knowledge. The students are facilitated to develop their own knowledge and ideas, and to collaborate with their peers to use the learning resources. The students are also given the opportunity to express their ideas. So, they are not only trained to develop their communicative skills, but also their competence to solve existing problems, especially when they are supposed to answer questions put forward by their peers. However, there is still a problem, which is that such kind of teaching method has been implemented monotonously in every classroom session. No matter how sophisticated a learning method is, it could become conventional if performed monotonously in the classromm for the whole semester. This is likely to happen because the students get used to the same method of teaching throughout the semester. In turn, they will consider it and implement it as a boring routine. Consequently, such method will not be challenging anymore and will tend to be monotonous. Typically, a lecture starts with a short explanation about the nature and the importance of the materials. This is followed by the students’ presentations (in group) about various theoretical concepts in relevance with the existing materials by using LCD. Each group should appoint a moderator, a presenter, and a note-taker during the presentation. Everyone in the discussion has the same opportunity to present and put forward his/her ideas as well as to answer questions that might be raised by other students. Along the discussion session, the lecturer should act as a facilitator; but because of some problems, the lecturer very often takes part in answering the students’ questions, and thus he/she is no longer functioning as facilitator. The problems appearing from the application of such method of teaching are: 1) the students of the presenting group play more role in the discussion, and it is very often that they do not master the presented materials well; 2) because of the little mastery of the materials by the presenters, the discussions do not run smoothly, because lots of time are spent by the presenting students to discuss the materials among themselves to find answers to the questions; 3) because the presenters are not completely prepared with the materials, other members of the class are reluctant to ask or raise questions. The above problems have made the lectures monotonous and unchallenging, although they have been set up as student-centered lectures. The other implication is that the time for the discussion cannot be spent effectively. Consequently, it results in the little significance of the products of learning. More over, the assessments, which are so far based on paper and pencil test model, fail to motivate students to study Home Economics deeply. The students tend to just learn the materials by heart without focussing on the problem solving model. The current teaching and learning of Home Economics still encounters many problems: it lacks of students’ active participations in classroom, the assessment is mostly done by using paper and pencil test model, and it is not oriented to problem solving model. Here is why another alternative and innovative model of teaching and learning of Home Economics is needed. Research on the advantages of applying an innovative model of teaching and learning has previously been conducted and it is proved that such a model can improve the quality of learning achievement. Some characteristics of contextual method of teaching and learning are appreciating students’ experience in the teaching and learning processes and facilitating students’ competence to solve problems (Blanchard, 2001). It is proved to have contribution to the quality improvement of the teaching and learning of food and beverage management in the Tourism Department of Vocational School (Nurlaela, 2001). Method of material presentation with Competency Based Training (CBC) model, which is mostly oriented to the students’ competence and performance (Nurlaela, 2002), has a great impact towards students’ enterpreneurship competence (Marsudi dkk, 2003; Basuki dan Luthfiyah Nurlaela, 2004). It can also improve and increase the quality of the teaching and learning of ‘table-setting’ sub-competence and food and beverage services (Kamariyah, 2003). The quality of the processes and the products of teaching and learning at elementary school level increase significantly with the application of the thematic model. It should be noted that the thematic model accomodate as much as possible the student variation or differences, giving a chance for the development of collaborative learning activities and the class-based assessment (Suryanti dkk, 2004; Nurlaela, 2007). The problem-based teaching and learning model is proven to give positive contribution to the quality improvement of the students’ cognitive, problem-solving, and collaborative competence (Koh et.al., 2008; Hmelo-Silver, 2004; Amstrong, 1999). The characteristics of teaching and learning models are oriented to students. Cooperative/collaborative activities, authentic assessment, and contextual problem-solving are among the characteristics of problem-based model. This model does not only give positive impacts towards the students’ knowledge and skills, but also to the development of their attitude and behavior. For this purpose, the application of the problem-based model is then very crucial. It facilitates students to face and solve authentic problems, in which they are required to seek for alternative solutions to the problems. In performing these, the students are forced to apply their problem-solving, higher order thinking skills, and collaborative skills. Lecturer explains the objective of the teaching and learning, explains the required logistics, motivates the students to actively involve in the problem solving activities of the problems they have chosen. Lecturer helps the students to define and organize learning tasks regarding the above problems. Lecturer motivates the students to collect as much as relevant information, conduct experiment to obtain explanation and solutions to the relevant problems. Lecturer helps students to plan and prepare the relevant learning products such as written report, video, and model; and helps them to distribute tasks to the peer students. Lecturer helps students do reflection or evalution of their observations and all the processes they go through when performing the observation. The above stages or syntax ares applied in the teaching and learning of certain material of Home Economics, such as the material of family activities. Students are motivated to seek for relevant problems with family activities in order to fulfill family needs. In this context, the management of family resources becomes very crucial. Every problem is approached scientifically, starting from the formulation of the problems, the resolution of the related problems, up to the presentation of the students’ works/products. The teaching and learning activities are performed collaboratively. The lecturer designs the evaluation and the products of learning as well as possible so that the evaluation is not only based on paper and pencil test but also on portofolio. Through this teaching and learning model, the expected character can be designed and planned in such a comprehensive way, including the methods of observing and measuring the characters in the teaching and learning activities. The conclusion of this paper is that: 1) the teaching and learning of Home Economics conducted in the Home Economics Department, the Faculty of Engineering, the State University of Surabaya has been attempted to be student-centered, but it still faces some problems; 2) the teaching and learning of Home Economics includes character building, but the characters themselves have not yet been designed as the instructional efffect; and 3) the problem-based teaching and learning of Home Economics is in line with the teaching materials of the subject and is relevant to the the teaching and learning models which are currently applied at the university. There have to be serious commitments from the lecturers to apply meaningful teaching and learning processes, which may increase students’ active involvement in class activities and deveop students’ collaborative and higher-order thinking skills. A well-planned teaching and learning program can be the appropriate alternative to obtain that goal. Armstrong E. 1991. A hybrid model of problem-based learning. In: Boud D and Feletti G (editors): The challenge of problem-based learning, 137-149. London, Kogan Page, 1991. Basuki, I. dan Luthfiyah Nurlaela. 2003. Pengembangan Model Pembelajaran Berbasis Kompetensi pada Sekolah Menengah Kejuruan Bidang Keahlian Pariwisata. Laporan Penelitian Hibah Bersaing. Lembaga Penelitian Universitas Negeri Surabaya. Blanchard, Alan. 2001. Contextual Learning. B.E.S.T. Budirahayu, T. 2001. Kondisi Moralitas Bangsa Indonesia dalam Menghadapi Persaingan Global. Makalah Seminar Strategi Pendidikan Indonesia Menghadapi Persaingan Ekonomi Global. Fakultas Ekonomi, Universitas Brawijaya, Malang. Daulay, A.S. 2003. Pendidikan Humaniora untuk Mengembangkan Wawasan Kemanusiaan dan Kebangsaan. Jurnal Ilmu Pendidikan. Malang: LPTK dan ISPI. Hmelo-Silver, C. E. 2004. Problem-based learning: What and how do students learn? Educational Psychology Review. 16(3), 235-266. Hmelo-Silver, C. E. & Barrows, H. S. 2006. Goals and strategies of a problem-based learning facilitator. Interdisciplinary Journal of Problem-based Learning. 1. 21-39. Ibrahim, M., dan M. Nur, 2005, Pembelajaran Berdasarkan Masalah, Surabaya: PSMS UNESA. Kamariah, N. 2003. Upaya Meningkatkan Kualitas KBM melalui Pendekatan Competency Based Training (CBT) pada Subkompetensi Penataan Meja dan Pelayanan Makanan dan Minuman. Skripsi. Universitas Negeri Surabaya. Koh, Khoo, Wong, & Koh. 2008. The effects of problem-based learning during medical school on physician competency: a systematic review, 2008, CMAJ 178(1). Marsudi, Luthfiyah Nurlaela, dan Ismet Basuki. 2003. Peningkatan Kemampuan Berwirausaha melalui Metode Penyajian Berorientasi CBT bagi Mahasiswa D3 Teknik Industri Boga FT unesa. Laporan Penelitian. Lembaga Penelitian Universitas Negeri Surabaya. Nurlaela, L. 2001. 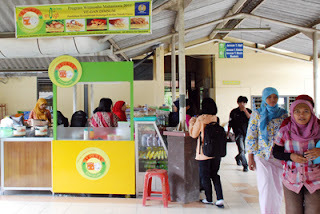 Penyusunan Perangkat Pembelajaran Kontekstual Mata Pelajaran Teknik Pengolahan Makanan dan Minuman di SMK Kelompok Pariwisata. Laporan penelitian. Lembaga Penelitian Universitas Negeri Surabaya. Nurlaela, L. 2002. Kurikulum Berbasis Kompetensi: Konsep dan Implikasi. Jurnal Teknologi Pembelajaran Teori dan Praktek. Tahun 11/2, Oktober 2003. Malang: IPTPI bekerjasama dengan PPS Universitas Negeri Malang. Nurlaela, L. 2007. Pengaruh Model Pembelajaran, Gaya Belajar, dan Kemampuan Membaca terhadap Hasil Belajar Siswa SD di Kota Surabaya. Jurnal Pendidikan Dasar. Vol. 9 No. 1, Maret 2008, ISSN : 1411 – 285X. Nurlaela, L. 2010. Peran Pendidikan Ilmu Kesejahteraan Keluarga (Home Economics) dalam Pembangunan Masyarakat. Pidato Pengukuhan disampaikan pada pengukuhan jabatan Guru Besar dalam Bidang Pendidikan Ilmu Kesejahteraan Keluarga pada Fakultas Teknik Universitas Negeri Surabaya, Kamis 7 Januari 2010. Nurlaela, L. 2011. Pembelajaran karakter dalam Ilmu Kesejahteraan Keluarga. Dalam Rekonstruksi Pendidikan, Kumpulan Pemikiran tentang Perlunya Merekonstruksi Pendididikan di Indonesia. Editor: Syirikit Syah dan Martadi. University Press, Universitas Negeri Surabaya. Parker, Frances J. 1980. Home Economics, An Introduction to A Dynamic Profession. New York: Macmillan Pub. Co. Inc.
Porwosoedarmo dan Djaeni Sediaoetama. 1987. Ilmu Gizi. Jakarta: Dian Rakyat. Rifai, M. S. S. 1983. Garis Besar Pendidikan Kesejahteraan Keluarga. PKK IKIP Bandung. Samani, Muchlas. 1992. Jatidiri Keilmuan PTK. Makalah disampaikan pada Temu Karya V Forum Komunikasi FPTK IKIP se-Indonesia di IKIP Semarang. Suryanti, Luthfiyah Nurlaela, Wahono Widodo. 2007. Pengembangan Perangkat Pembelajaran Tematik untuk Meningkatkan Kualitas Pembelajaran di Kelas Rendah SD. Laporan Penelitian Hibah Bersaing. Lembaga Penelitian Universitas Negeri Surabaya. Winarni, A. dan Luthfiyah Nurlaela.1997. Sosok Keilmuan IKK dan Program Perluasan Mandat. Makalah disampaikan pada Temu Karya V Forum Komunikasi FPTK dan JPTK IKIP se-Indonesia di IKIP Semarang. Sukaryono. 2004. Sumbangan Pembangunan Karakter Bangsa dalam Pendidikan. Media Pendidikan dan Ilmu Pengetahuan. Vol 27/1/2004. Surabaya: Universitas Negeri Surabaya. Sweller, J. 1988. "Cognitive load during problem solving: Effects on learning". Cognitive Science 12 (2): 257–285. doi : 10.1016/0364-0213(88)90023-7 . Prof. Dr. Luthfiyah Nurlaela, M.Pd, Professor in Home Economics Education, Lecturer at the Faculty of Engineering, State University of Surabaya.